What is the first thing a person notice when taking a look at the Fuji x100? Undoubtedly, it is its design. But, it’s not the place where fairytale stops. This little piece of gear is more than just beautiful. It’s portable, small and light and these are the main reasons why some photographers tried to use it. No matter how experienced in photography you are, sometimes you need something light that you can take everywhere with go: to a party or to walk your dog. In these situations, you would not take, for example, the 5D Mark II with you. The Fuji x100 is therefore an excellent choice, because you can carry it around for hours without any problem. However, it takes time to accommodate to use it, because it’s quite small and if you are used to bigger cameras, you would likely have some difficulties to grip it comfortably. 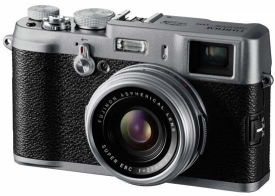 The Fujifilm x100 release the shutter immediately and very fast. However, it’s not so fast when focusing on the subject and that is something you have to deal with. You will spend more time focusing on your subject and perhaps you will have some wasted shots due to this gripe. Perhaps, it is the best way to set the x100 to the manual focus and then to use AFL/AEL button to get the focus. The focus ring is, unfortunately, absolutely useless and slow. When it comes to the shutter, it is not only quick, but also silent. It’s maximum speed is 1000/1s at f/2.0, so you can do the shooting wide open even when the days are the brightest. It is so silent that sometimes you will have problems with figuring out whether x100 shot or not. As we expect it from Fuji, rendered colors are so vivid and vibrant, yet natural and deep. Check out the Fuji x100 blog at http://www.fuji-x100-blog.co.uk/ and see incredible photos made with this neat and useful camera.